On Thursday, my wife and I flew from Philadelphia to Chicago, Illinois. Over the next few days, we’ll spend time with some of Katie’s family and friends in and around the Rockford, Ill., area. Given our jaunt to the Land of Lincoln, I thought it might be appropriate to make today’s Photo Friday installment Illinois-specific. Thus, today we feature the Mt. 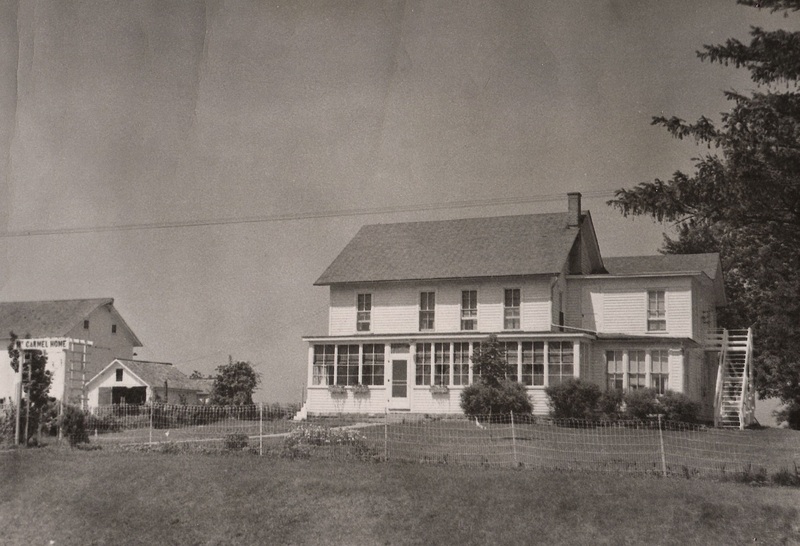 Carmel Faith Missionary Training Home and Orphanage, a Brethren in Christ institution in Whiteside County, Illinois. Commonly called the Faith Home, the orphanage was established by the Rev. Abram G. Zook and his wife. [The orphanage] was taken over as a project by the Brethren in Christ [General] Conference in 1912. Dedicated workers labored hard for its success. The first worker to join [Rev.] and Mrs. Zook at the orphanage was Miss May L. Donaldson. She was a teacher at the Franklin School during the term 1899-1900 and remained for the dedication of the home. The meeting lasted for several days in a tent across from the newly-opened refuge. Diphtheria broke out and a quarantine was imposed; it lasted for several weeks. Miss Donaldson remained to help care for the children. The first year was made more difficult by the epidemic. One of the children in the home died as did a daughter of [Rev.] and Mrs. Zook. To read more about the orphanage (and to scroll through a registry of the deceased buried in the nearby Zook Graveyard), click here. Were you and Katie able to visit the site. When did it close? Unfortunately, we didn’t have the chance to visit on this trip out, but I hope to in the future. The orphanage closed in 1968, when the congregation moved from Franklin Corners to Morrison, where it continues in operation today. I was a child at the home in the 60’s. My brothers and sisters also lived there. Iona Lee, Riley Ray, Harley Dale, Mona Mae, Sherwood Thomas Edrington.